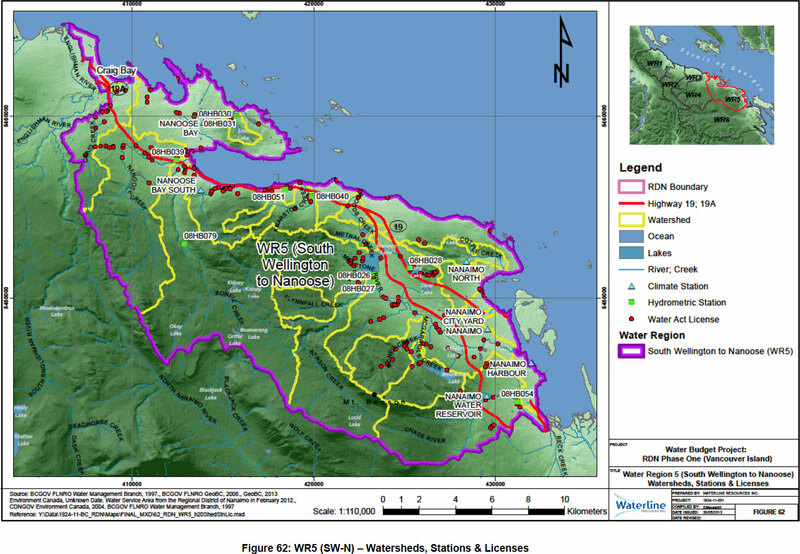 The South Wellington to Nanoose water region (WR5-SW-N) extends from the Nanoose Peninsula in the northwest part of the water region to South Nanaimo in the southeast, and from the coast around Departure Bay to the top of Mount Benson. 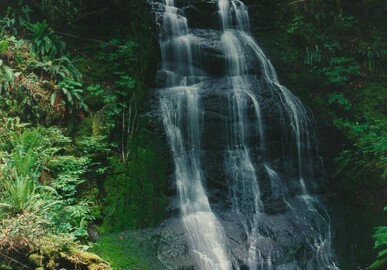 Third largest water region, area is approximately 315 km2. Densely populated – encompasses the City of Nanaimo, District of Lantzville, and the Nanoose Peninsula. 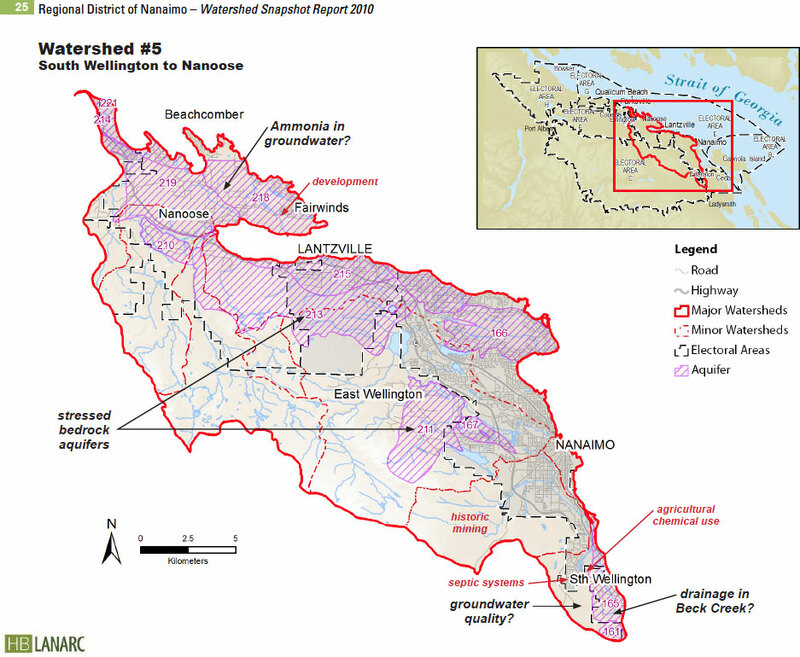 Approximately 23 watersheds and subwatersheds, the largest of which is associated with Bonell and Nanoose Creeks which drain into Nanoose Bay. Nine hydrometric stations, seven climate stations, and approximately 248 surface water diversion licenses. 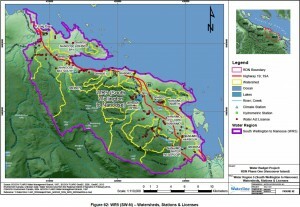 315 km2 – includes areas which drain directly to the ocean and are not within a major watershed area. 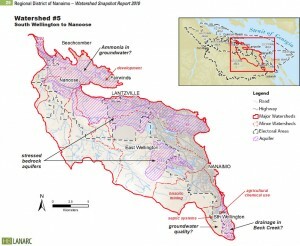 According to the MOE Wells Database (BCGOV ENV Water Protection and Sustainability Branch, 2012) WR5-SW-N has the second highest number of water wells (1685 wells) of the six water regions in the RDN.